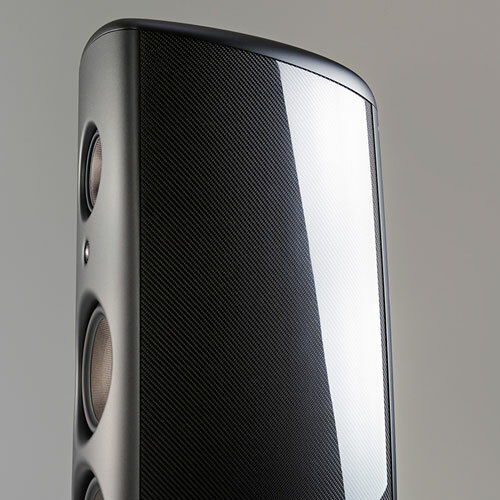 The M6 represents a major advance in loudspeaker design due to its unique six-sided monocoque enclosure sculpted from a full 1/2" of carbon fiber. The structural strength-to-weight ratio is increased by a factor of 60, while the curved walls minimize internal standing waves and external diffractions. The diamond-coated beryllium tweeter was designed using finite element analysis modeling tools to optimize high-frequency reproduction. The midrange and bass drivers are constructed with a graphene-based cone material for increased stiffness yet reduced mass. 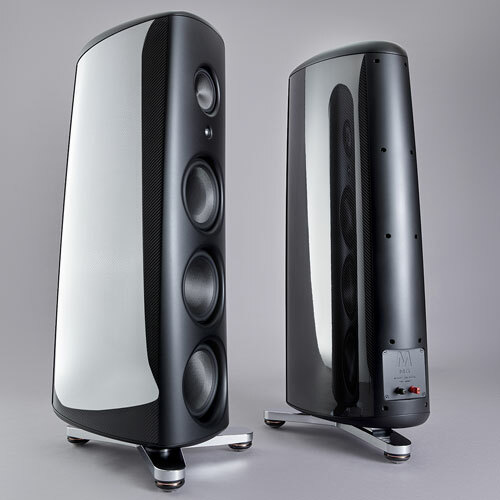 Underhung motor systems with vented titanium voice coils result in distortion-free performance at high volumes. The Elliptical Symmetry Crossover featuring components from Mundorf of Germany maximizes frequency bandwidth while preserving phase linearity and minimizing intermodulation distortion.